Since the dawn of the computer age, consumers have vehemently debated and defended their love for either Mac or PC. There is no in between, and everyone sings the praises of their preferred operating platform. So how is a novice to the computer world supposed to know what will best fit their needs? The best way to solve questions is by researching the answers. 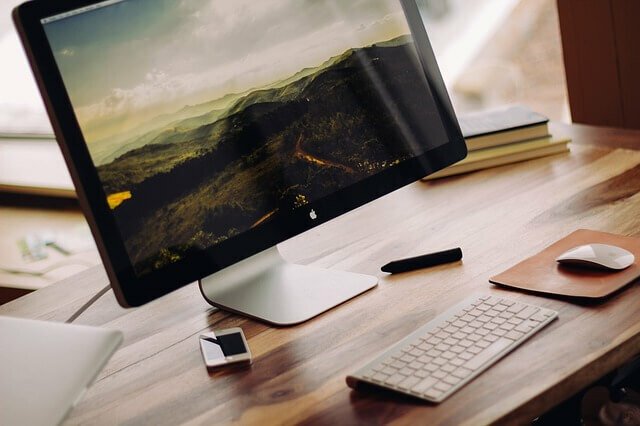 Start learning now, and read through this brief synopsis of a few notable pros and cons of both the Mac and the PC. Macintosh built the very first personal computers, and Apple sold them with great success since January of 1984. There’s no doubt the Apple symbol is an icon for the ages, and Mac revolutionized the industry. Apple-Macintosh started the race to computing perfection by releasing the very first personal computer equipped with a graphical user interface, a built-in display screen, and a free moving mouse. Macintosh operating systems typically have fewer issues with viruses and malware. Mac products come preloaded with foundational information processing and productivity apps. Mac computers or laptops have the capability to seamlessly integrate information with all other Apple products. The ability to process several tasks at once is unparalleled. Mac operating systems are excellent at doing several different things at once without nagging lag. Purchasing a Mac computer will cost you a pretty penny. You’ll need close to $1,000 to get a mid-level machine from Apple. The MacOS is extremely rigid and inflexible when it comes to hardware upgrades. MacOS are not conducive to gaming needs. If you like to play games online or any other medium, the MacOS probably isn’t the way to go. Microsoft brought diversity to the digital market, and gamers everywhere rejoice at the existence of Windows. The Windows PC brought new light to flexibility, personalization, and a new reason to become an enthusiast. Windows operating systems are a dream for gamers. You can build your own machine out of individual parts that suit your gaming needs and come out with a beast of a machine. Windows personal computers are more affordable. Windows machines are backward compatible. It’s easy to update Windows computer hardware. Plug and Play compatibility opens up the possibilities for Windows users. Higher resource requirements sometimes means more financial investment. Security is an ongoing battle with Windows operating systems. The licensing agreements for Windows apps are sometimes outrageous. There are more quirks and bugs to work through when you’re working on a Windows OS. The stability of the operating systems is sketchy. Rebooting and reinstalling is a way of life for the Windows OS users.